Looking for a delicious Sugar Cookie? 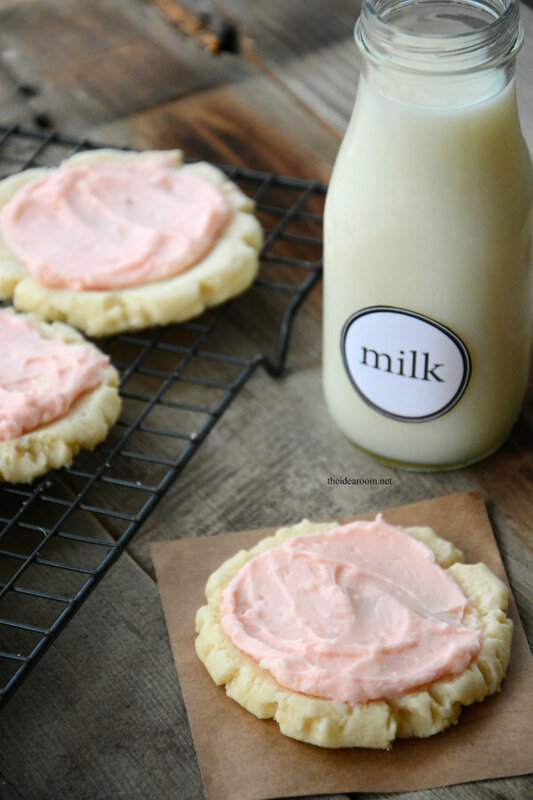 Make this Swig Sugar Cookie Recipe. 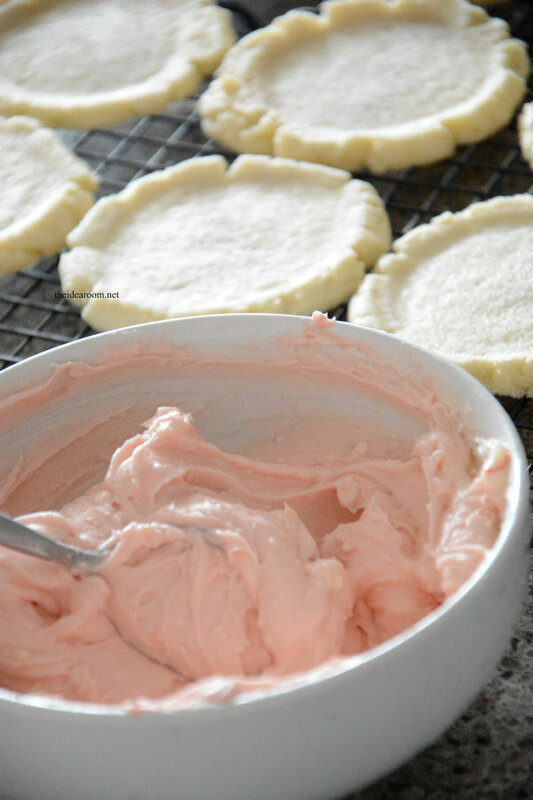 They are so easy to make and taste just like the famous Swig Cookies Sugar Cookie topped with their signature pink Sour Cream Frosting! Are any of you familiar with soda shop and a bakery named called Swig? There are several of them here in Utah and they have the most delicious Swig Cookies! There are several different kids of Swig Cookies, but their Swig Sugar Cookie is their most famous! They are pretty popular here! 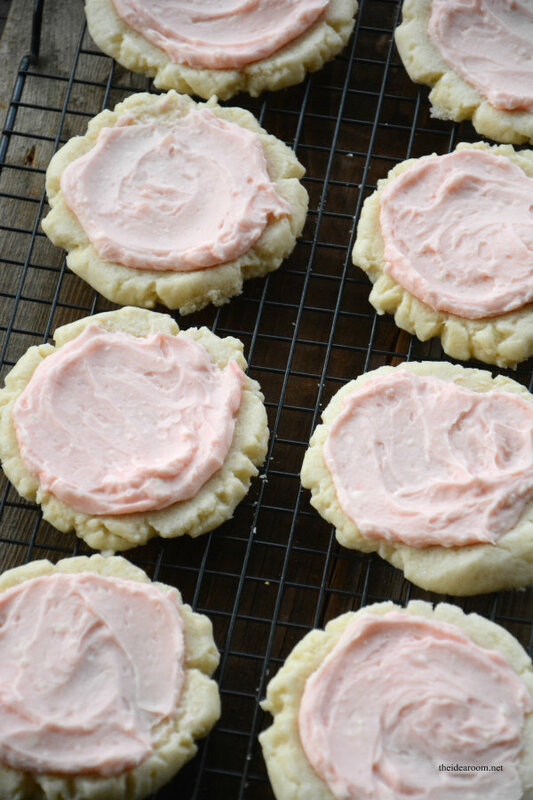 This Sugar Cookie Recipe tastes just like the real Swig Cookies. They are so easy to make right at home so you can have them whenever you want without having to get in the car and pick some up! 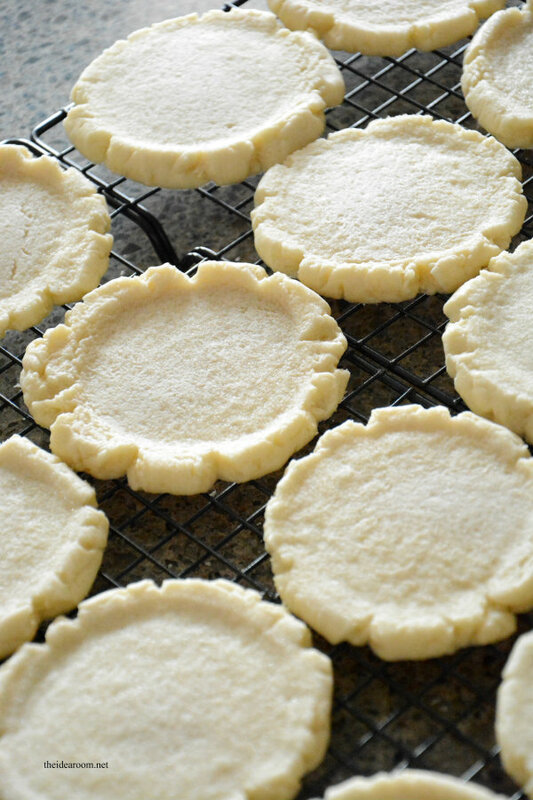 The Swig Sugar Cookies have these distinct crumbled edges with a lip around the edges which make a little shallow bowl for your Sour Cream Frosting to sit in. 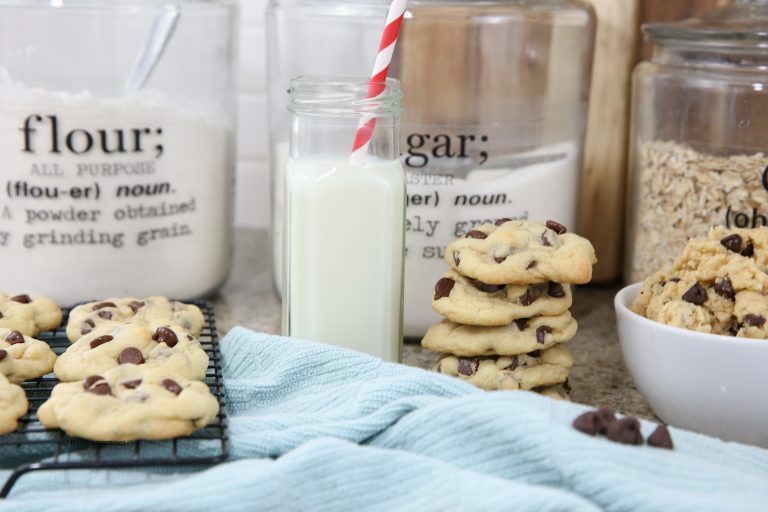 You don’t need a fancy cookie press to make them…all you need is the bottom of a glass to create the same look. These Swig cookies taste the best when the cookies are cold, just out of the refrigerator and then iced with room temperature frosting! 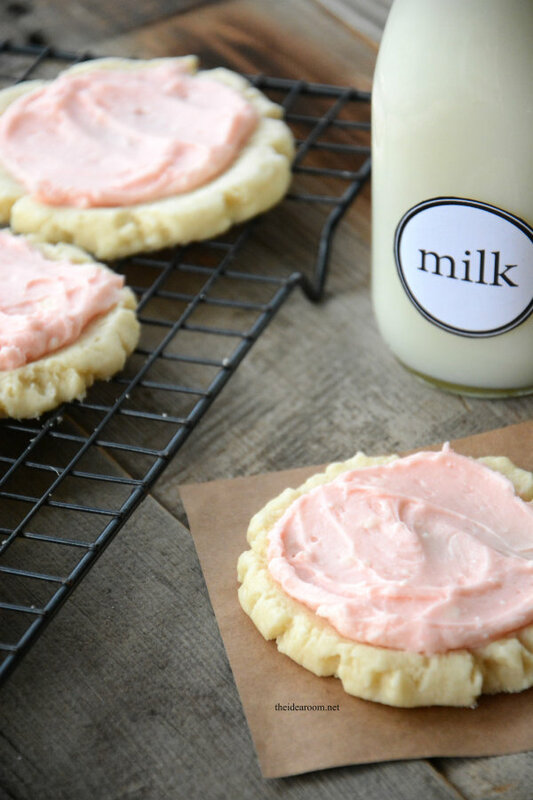 So good you won’t be able to tell a difference when compared to the Swig Sugar Cookies! Mix until everything is combined. Your dough should be a little crumbly and not sticky at all. Put 1/4 c of sugar and a pinch of salt in a dish (this is in addition to the sugar and salt listed above.) Stick the bottom of a glass in it. This is going to be your cookie press. Firmly press it into the center of your dough ball. You want your dough to spill out over the sides of the glass. If there is a lip its even better. Bake at 350 degrees F for 8 minutes. They should just barely be browning on the bottom. Move cookies to a cooling rack. Once they are cool put them in the fridge. Start by creaming together butter and sour cream and salt. Slowly add powdered sugar. When it gets so thick its not frosting like add a splash of milk. Alternate this process until your frosting is the desired consistency. Add 1 drop of red food coloring and whip on high for 1 minute. Keep cookies in a sealed container until they are ready to serve. This time of year, I start craving Spring-like weather and recipes. 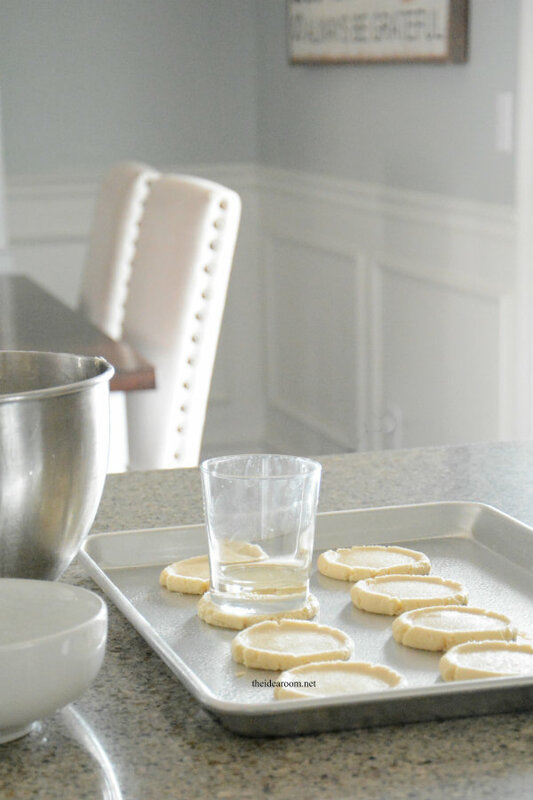 I thought it would be fun to make some Lemon Swig Sugar Cookies and see how they tasted! They actually turned out to be pretty darn fabulous in my opinion. Use 1 drop of yellow food coloring to the frosting in place of the red food coloring. Add the above ingredients to the cookie dough and the frosting while you are mixing the ingredients together. They are so delicious! 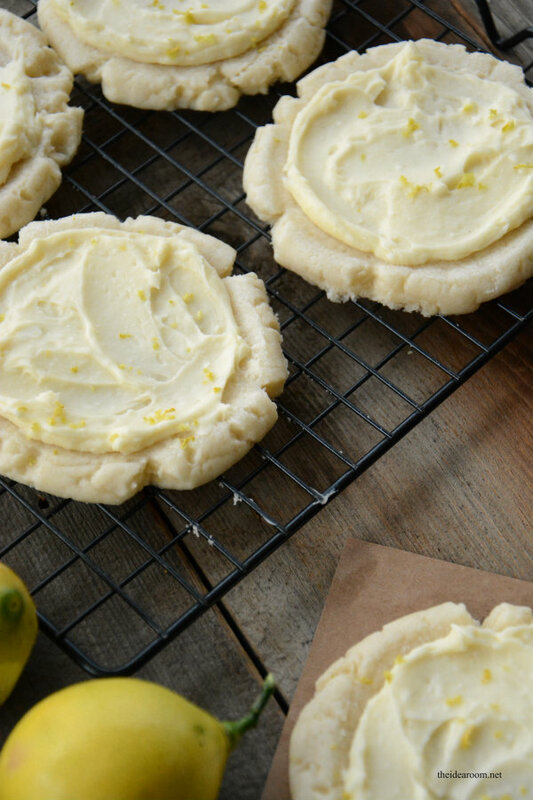 If you love lemon in your baked goods, you are going to love these! They will freeze well too if you need to make them in advance for a party or an event. 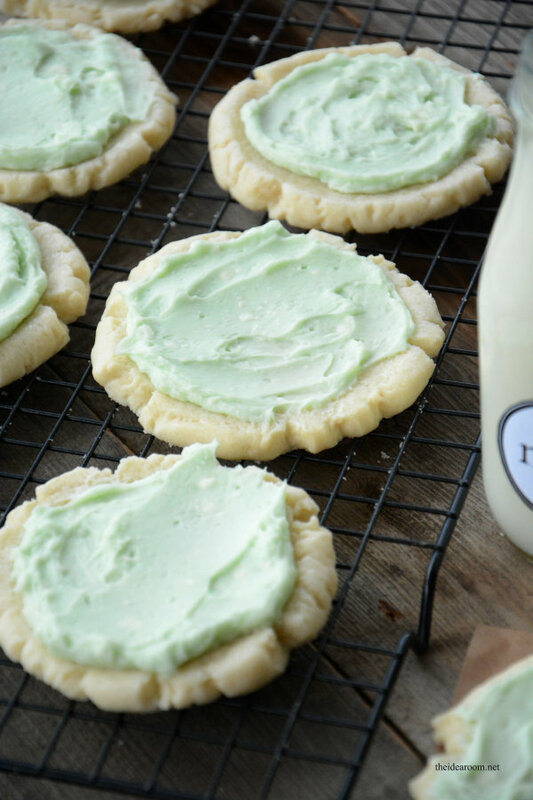 And…because I love to experiment, I decided to try a version of Lime Sugar Cookies. (I split the dough and frosting into three bowls and then added the different ingredients to each). Use 1 drop of green food coloring to the frosting in place of the red food coloring. If you are interested in learning more about doTERRA oils or how you can become a part of my doTERRA team, we are looking to add more team members! I would be happy to answer your questions! Anything you can use to replace the EO? 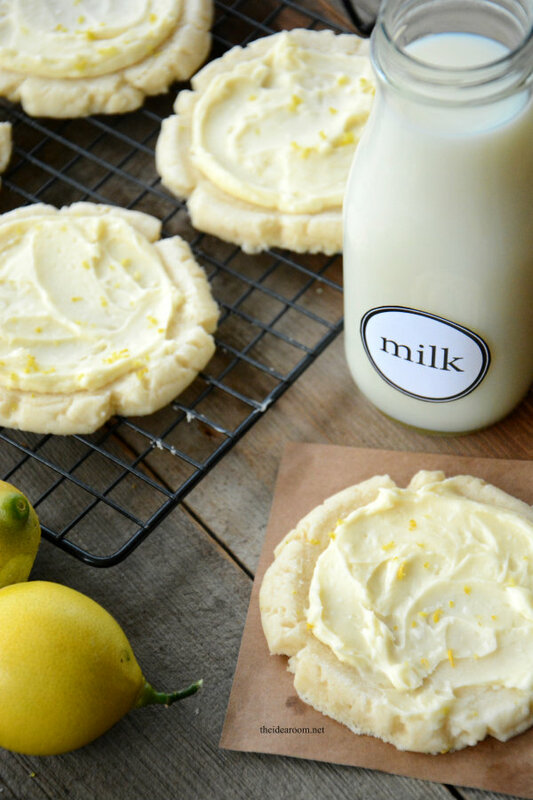 None in my house, but the lemon cookies sound FABULOUS! Do you add the lemon zest and oil to the dough AND frosting, or just frosting? Yes, add it to both the dough and the frosting. Enjoy! Hi. This doesn’t seem to be my day. I have been trying to leave a comment but the link never comes up when I click on it, so I will just reply to this. I made these cookies today and wonder what I did wrong. I followed the directions carefully. I got 5 dozen cookies! The instructions say it makes about 2 dozen. Also, mine never turned golden brown on the edges like the pictures show. Even when I cooked them for 10 minutes. They aren’t as sweet as I expected so I added a bit of sugar on top before baking. What was I doing wrong? Thanks! Also, are they supposed to be soft or crispy? Thanks! They are both crispy around the edge and soft in the center. Sorry you are having a difficult time. So the cookies are not golden brown around the edges. Sounds like that worked for you. Most of the sweetness comes from the frosting. Did you frost them? Also you could try using an ice cream scooper to portion them out. Not sure why the recipe made 5 dozen though. Hope this helps. Thanks. These came out delicious, crispy on the edges is what I like especially with my morning coffee. I made two versions, half w/ mini chocolate chips and the other half lemon w/ lemon frosting. 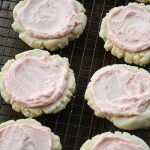 I’ve tried many sugar cookie recipes, these are the best I must say. So, glad I found your recipe. So happy that you are enjoying them. They are so delicious! Good golly, Miss Molly! These are perfect. First time out of the gate and they were excellent! Thank you for the terrific recipe. It will be added to my favorite recipe collection. So happy that they turned out. They are so delicious! It calls for 1 1/2 cup sugar—is that divided? Meaning 1 cup in cookie dough & the other 1/4 for the glass dipping or is the whole 1 1/2 cup for the cookie dough? Please clarify. I am looking forward to making these tomorrow evening to share with my mom & sis when they visit. Use the 1 1/2cups in the recipe and just dip the cup into some more sugar. Hope this helps. Thanks and enjoy! The recipe calls for 1 1/4 cup sugar—is that divided? Meaning is 1 cup for the cookie dough and the 1/4 cup for dipping the glass in? Please clarify. I am looking forward to making these tomorrow evening for my mom & sis when they visit. Do you freeze them frosted, or freeze unfrosted and then frost when you want to serve them? You can freeze them frosted or not frosted. Enjoy! Do you use all purpose flour? So happy you enjoyed the recipe. They are so delicious! Hey!!! My family loves these cookies. Is the dough a good dough to roll out and cook with cookie cutters??? Megan, I have never used it for cutouts. You could try it but it may not be as smooth as regular sugar cookies.